If you have been wanting to go to the Georgia Aquarium, don’t miss this deal! There is a rare Groupon offer available. 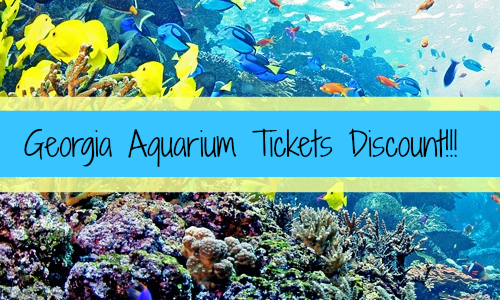 You can get (2) Tickets to the Georgia Aquarium for $49 or (4) tickets for $95. Adult tickets are normally $35.95 and kid tickets are normally $29.95, so this is a great deal! The tickets are valid through June 13th. The deal will sell out quickly, so grab tickets now if you want them.